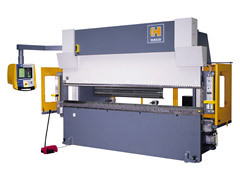 The first hydraulic press brake was made by HACO in 1965. Since then, press brakes have changed a lot. Just think about CNC controls and multi-axes backgauge systems or automatic crowning tables. 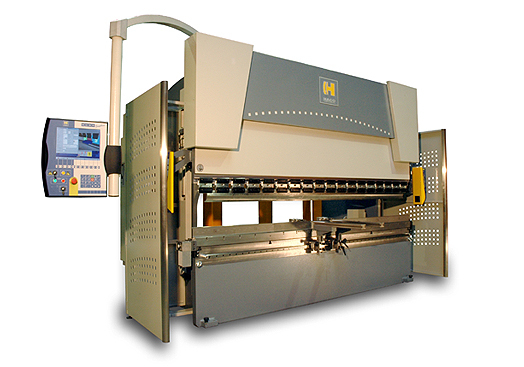 During the past 35 years, HACO gained a lot of experience building these types of machines and is proud to be among the leading manufacturers of press brakes worldwide today. 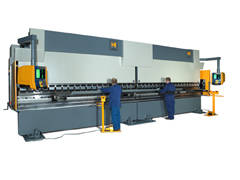 All press brakes are hydraulic driven and range from 45T up to 1,200T, feature conventional or CNC controls, and are also available in tandem and tridem models. Easy to use CNC controller (no special training necessary), 2D and 3D touchscreen controllers available. Manual or Automatic backguages available. Y1/Y2 hydraulic axes for levelling and depth control (0.01mm). 2 finger blocks, adjustable in height and width and spring-loaded to protect against shock loads. Multiple control options available, from conventional 3-Axis to 3D CAD Touchscreen.